Great news! You can now get yourself, or someone else, a Green Shack Gift Card! Simply ask for a gift card at the register, load it up with as much money as you would like, and that’s it! 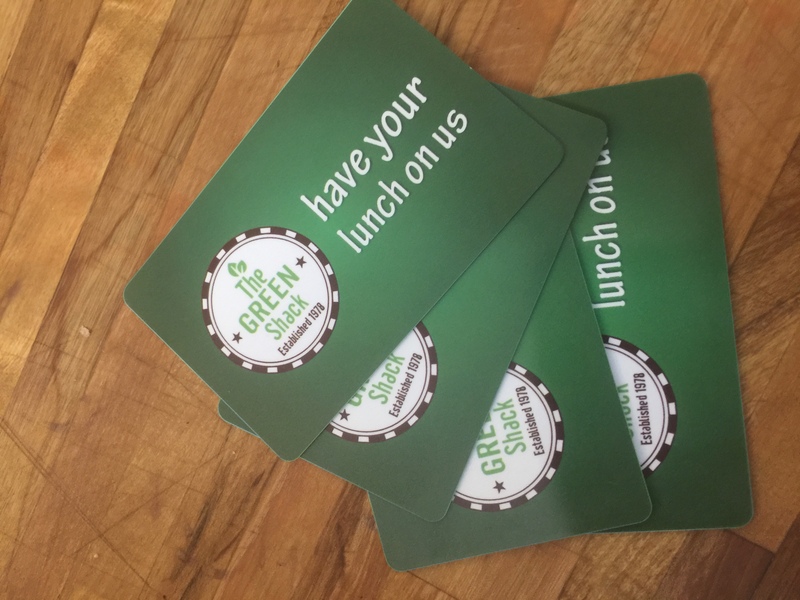 Redeem the card at Green Shack for menu items. The Green Shack gift card makes a great gift for anyone who’s favorite sandwich place is the Green Shack! OR, get one for yourself, load it up and walk into the Green Shack your next time confidently knowing your shackwich is already paid for. Have you lunch on us! Get your Green Shack Gift Card today!